“Lost” star, Andrea Gabriel will recur in “Gossip Girl” upcoming sixth and final season. Gabriel heads to the CW drama as a businesswoman from Dubai, Variety reports. Meanwhile, “7th Heaven” vet Barry Watson joins the last season of “Gossip Girl” as a Serena’s (Blake Lively) romantic interest. TVLine reports the actor will recur as a Steven Spence, who is a young entrepreneur. “Gossip Girl” sixth season debuts Monday, Oct. 8 at 9/8c. “Call Me Maybe” singer Carly Rae Jepsen will guest-star on the upcoming season of “90210.” Jepsen will perform in the show’s Season 5 premiere, (Monday, Oct. 8.) reports TVLine. “Supernatural” Season 8 premieres Wednesday, Oct. 3 at 9/8c on CW. “Power consumes everybody,” is the tagline of “Boss'” new poster. 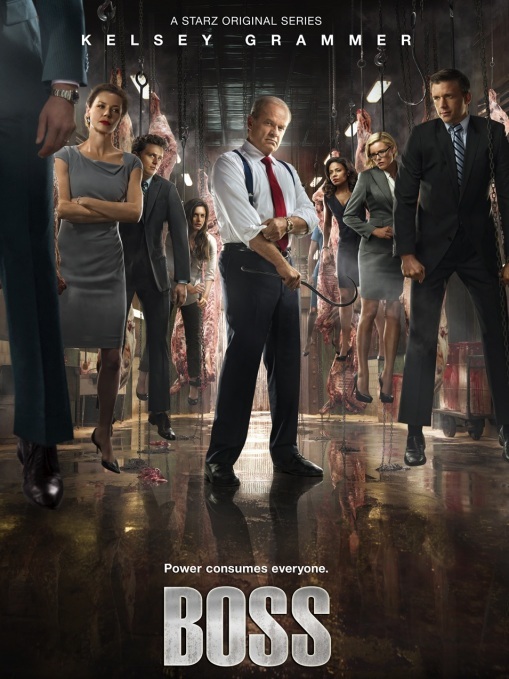 “Boss” which stars Golden Globe winner Kelsey Grammer as Tom Kane, an ailing Mayor of the Windy City. By the look of it, it seems Kane will take down his enemies one after the other. “Boss” stars Golden Globe winner Kelsey Grammer along with Connie Nielsen, Hannah Ware, Jeff Hephner, Kathleen Robertson, Troy Garity and Rotimi. Jonathon Groff, Sanaa Lathan, Tip Harris and Amy Morton will guest-star in “Boss” Season 2. Check out the full photo below. Season 2 of “Boss” premieres Friday, August 17 at 9 p.m. ET on Starz. Syfy has renewed its reality competition series “Total Blackout” for a 16-episode second season, the first eight of which are slated to air Tuesday, Nov. 13 at 9 pm. Related: ‘Big Brother’ Season 14 Cast Revealed. According to EW, A&E picked up “Bates Motel,” a series inspired by Psycho. Get more details about the series here: EW. The recently crowned “X Factor” judge, Demi Lovato will host this year’s Teen Choice Awards, EW reports. The awards air live Sun., July 22 on FOX. HBO’s “Boardwalk Empire” and “Treme” season 3 premiere dates were announced earlier today. “Boardwalk Empire” is set to premiere, Sunday, Sept. 16 at 9/8c, while “Treme’s” third season is set to debut Sunday, Sept. 23, at 10/9c. “Big Brother,” (Season 14 Premiere Thurs., July 12, 9 p.m. ET on CBS) Meet the cast of “Big Brother” Season 14. ‘Sons of Anarchy’ Season 5 Teaser. “Sons of Anarchy” fifth season is set to premiere in Sept on FX. But first, take a look at the teaser and poster below. 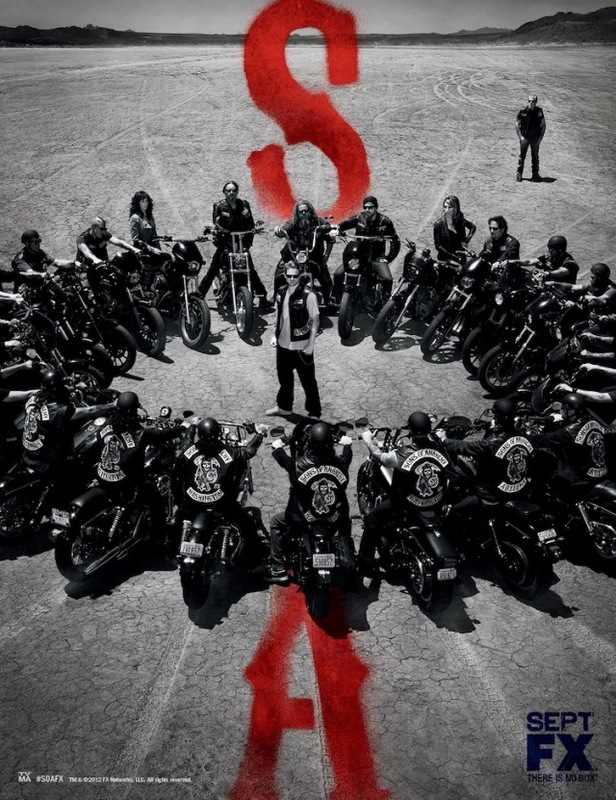 [Updated] The fifth season of “Sons of Anarchy” premieres Sept. 11 at 10/9c.